Generally, cookies are good and they make a lot of things easier. But sometimes, cookies do more than facilitate ease of access. They track your activities, see your browsing pattern and build a profile of you. How Do the Trackers Actually Work? Suppose you are browsing website “A” which contains ads from website “B.” Then website “A” allows website “B” to set a unique cookie in your browser. Now when you open another website called “C” which also contains ads from “B,” it will identify the cookie and use it to display relevant ads to you. So, how do we protect our privacy? Chrome, is the most popular browser for both desktop and mobile. However, Chrome for Android doesn’t support add-ons and probably never will. (cough cough ad blockers). This leads us to the task of finding a browser which ensures our privacy is adequately protected. 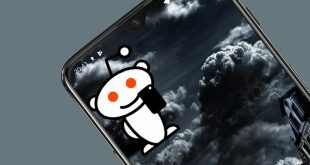 Here we present you a list of the 7 best anonymous browsers for Android which you should consider if you are serious about protecting your privacy. IceCat, formerly known as IceWeasel, is the GNU version of the Firefox browser. While the Firefox browser is a free software, it does recommend paid plug-ins like VPN Unlimited etc. IceCat, however, uses free software only (free as in Freedom). Orfox is the mobile counterpart of the Tor Browser based on the “fennec” (Firefox for Android) code. 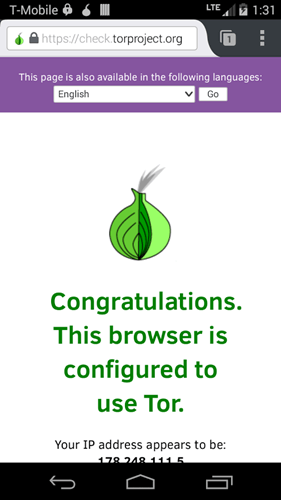 The Tor Browser development team toughens its security. The Guardian Project developed it and its first stable alpha released on 30 June 2015. The Orfox browser bounces your communications around a network of relays. This protects your search history from prying eyes. Besides that, it also stops anyone from accessing your physical location. Orfox also includes NoScript and HTTPS Everywhere add-ons. The browsing is also quite smooth and gets the job done with no hassles. 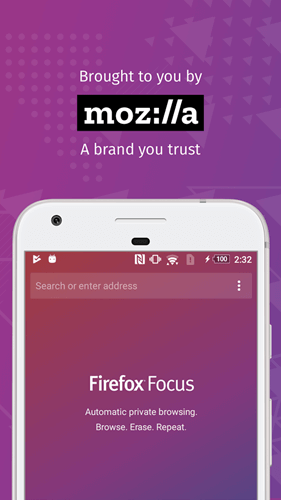 Firefox Focus is specifically designed with privacy in the mind. 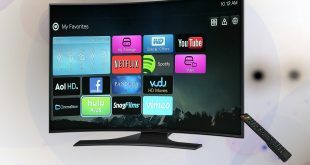 It is fast, minimal and does what it says without a hitch. The good thing about Firefox Focus is that it automatically blocks all the trackers and ads. You don’t have to configure anything. Just install the browser, browse the internet as you would normally. When you are done, close the browser and Firefox Focus will automatically clear all your browsing data including browsing history, download history, etc. 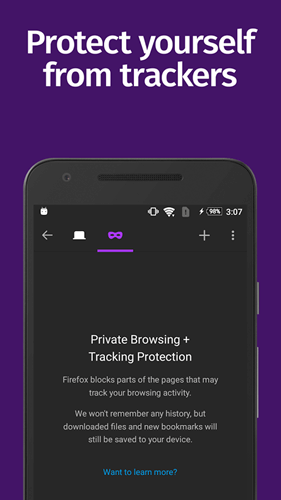 If you are looking for a simple and straightforward privacy centric browser and don’t mind lack of any customizations or settings, Firefox Focus is for you. Give it a try. 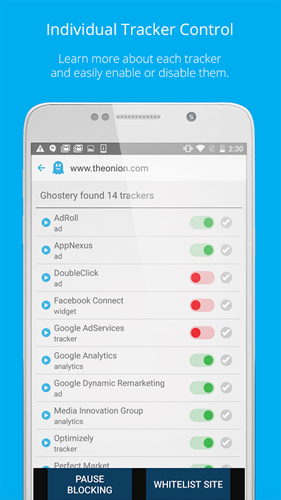 Ghostery Inc released the Ghostery Privacy Browser, at the end of 2014. It is based on the Android WebView and is as good a browser as Google Chrome. The ghost icon at the top keeps a tab of how many trackers the website is attempting to use. You can access the list by tapping the icon and select which trackers you want to block or allow. You can add trusted sites to a Whitelist. Whitelisted sites go past the tracker blocker unaffected. The browsing experience does suffer at times as the sites fumble a bit with 100% blocking enabled. When this happens, you might need to pause the blocking and check if the site works with blocking disabled or toned down. CM Browser was developed by Cheetah Mobile Inc., the developer of Clean Master and CM AppLock. The browser greets you with a clean, minimal interface that is very pleasing to look at and easy to get used to. The CM Browser is one of the tiniest browsers out there, with a size of only 2.9 MBs. It comes with an acceleration mechanism which makes web surfing a breeze. 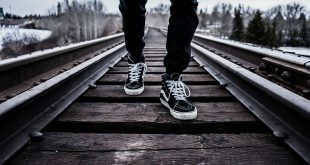 Do-not-track settings are inbuilt. Moreover, the browser will warn you when you visit any potentially fraudulent websites. If Firefox Focus is too restricted to you then you can use the regular one instead. Firefox for Android is a fast, free and open source project by Mozilla. It has a large library of free add-ons like HTTPS Everywhere, AdBlock, Readability, etc. 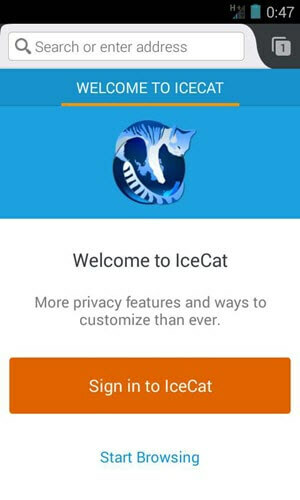 The GNU IceCat Mobile browser as mentioned earlier also runs on the Firefox source-code. The best thing about Firefox is that add-ons work INSIDE the browser. This is unlike Chrome, which requires the use of separate apps to do so. 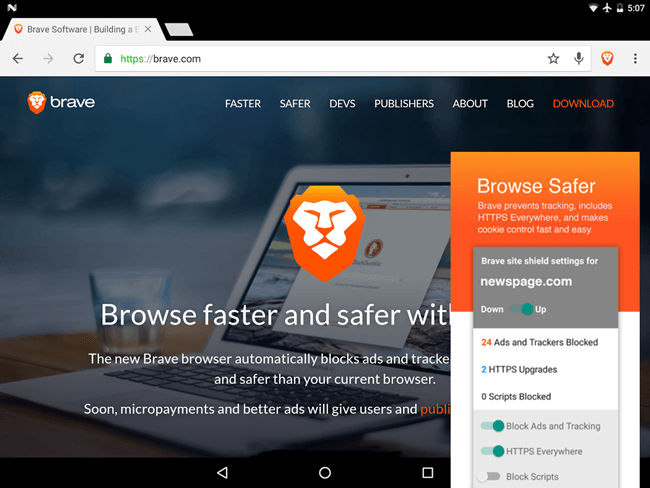 Brave, the web browser company, co-founded by former Mozilla CEO Brendan Eich, recently launched a revamped version of its Brave Browser. The earlier version used an odd UI with link bubbles, which was not well received by its users. It is now back with the familiar tabbed browsing experience. The browser offers a variety of security features like HTTPS Everywhere, anti-fingerprinting shield, phishing protection, and malware filtering. It is also optimized to save battery and data consumption. This is it for the list of the best Anonymous Browsers for Android. Do keep in mind that while these browsers lower the chances of getting tracked, none of these apps can assure 100% anonymity. Which browser do you use for private browsing? Did we miss out on any other important or useful browsers for Android? Do let us know in the comments section below.